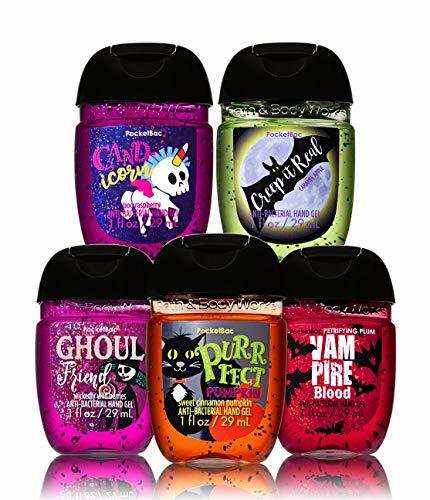 FRAGRANCE Includes Sweet Cinnamon Pumpkin, Wickedly Wild Berries, Petrifying Plum, Boo Raspberry & Caramel Apple OVERVIEW Get all treats & no tricks (or germs!) with our 5 Halloween-inspired PocketBacs! Our skin-softening hand sanitizer kills 99.9% of most common germs, while the pocket-friendly design makes it easy to keep hands clean & conditioned when you're on-the-go. 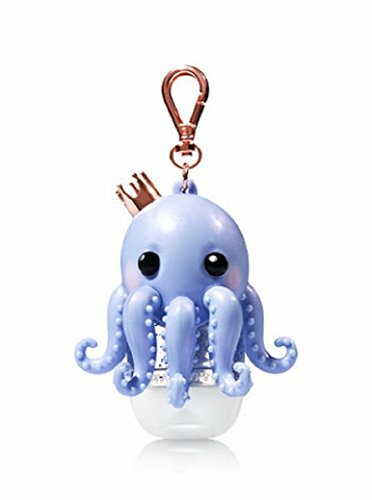 Don't forget to add a cute holder, sold separately! Scare up some fun with this bewitching accent! 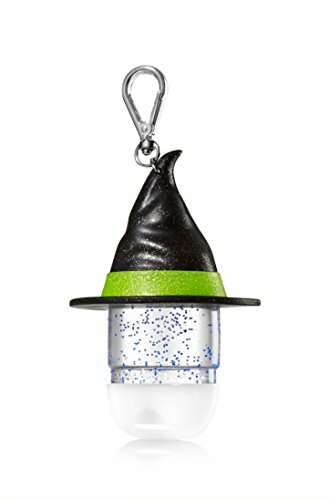 This glittery hat fits on top of your PocketBac for an extra spooky look, while the convenient clip attaches to your backpack, purse and more. 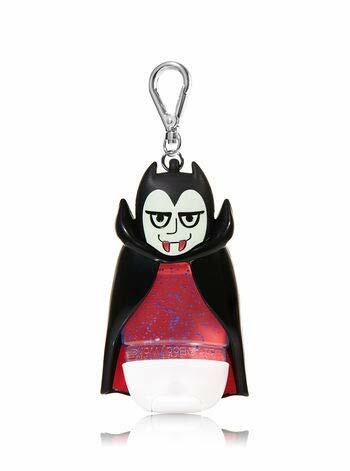 It's a wicked-good way to keep your favorite sanitizer close at hand. Show your BFF she's your ghoul-friend with this frightful pair! 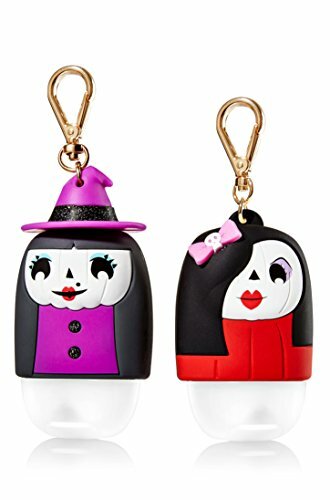 Flirty witch and vampire styling make these ghouls the perfect Halloween accents for your PocketBacs, while a hidden magnet keeps them joined at the hip! 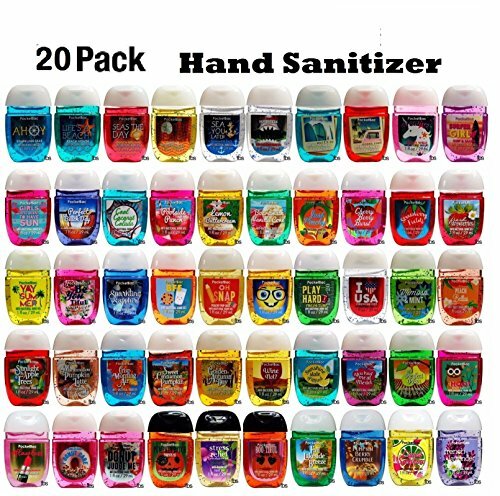 The convenient clip on each attaches to your backpack, purse and more so you and your best friend can always scare up your favorite sanitizer. 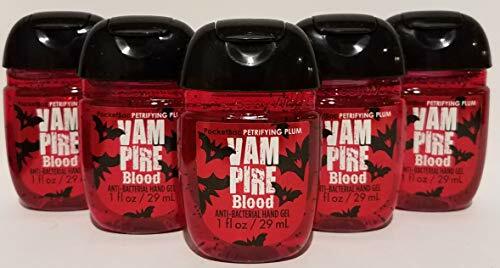 Bath and Body Works 5 Pack Pocketbac Hand Sanitizer Vampire Blood (Plum) 1 Oz. Skin-softening formula kills 99.9% of germs, while the pocket-friendly design makes it easy to keep hands clean & conditioned when you're on-the-go. 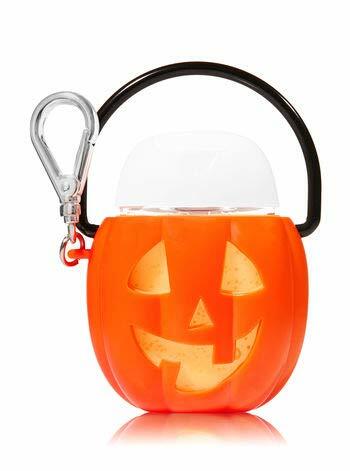 Bath and Body Works Pumpkin Pocketback Holder. 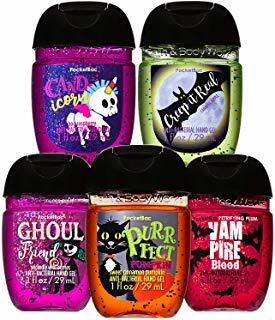 Bath and Body Works Stress Relief Pocketbac - Bundle of FIVE! Eucalyptus Spearmint Scent!